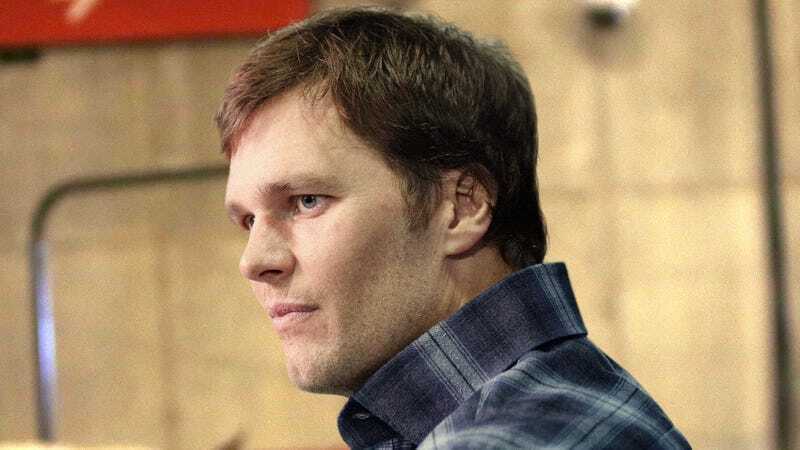 KANSAS CITY—Expressing regret and shame for having “completely overindulged,” New England Patriots quarterback Tom Brady confessed feelings of guilt Friday after gorging himself on a full order of Kansas-City-style tap water. “Ugh, I’ve compromised my own standards and my responsibility to my team by devouring an entire 32-ounce glass of non-ionized fluid,” said Brady, who added that he couldn’t believe the locals considered such a massive portion to be a normal-sized serving. “And I have to tell you, K.C.-style tap water is just so thick and tangy that I don’t know how I even managed it. I’m feeling utterly bloated and lethargic—I don’t know how I’m going to hit the gym in three minutes. I admit it—it was delicious and I just wanted to lick up every drop and couldn’t stop myself. I wish someone had cut me off, because I demolished that tumbler of water with reckless abandon. Oh, God, it’s all over my shirt and face.” Brady then announced that he would be lying down in his hyperbaric chamber until game time.